Peonies offer some of the best fragrant flowers in the garden and for flower arrangements. 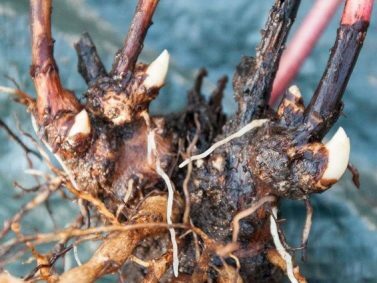 These tips will get your herbaceous peonies ready for fall and winter so they can have the best start in the spring. Once the foliage starts to turn yellow and die back, use clean pruners to remove all of the old stems to the soil level. Make sure to throw away the old stems, instead of composting them, as they can carry blights or mold that can survive through the winter. Clean up the area around the crown of the plant and make sure it is clear of any other spent blooms or dead plant material so your peonies remain healthy throughout the winter and won’t attract pests. Even though you’ve cut the stems down, you’ll still want to protect your peonies from the cold. Apply a layer (1-2 inches) of mulch over them. This can be any organic material such as straw/hay or bark mulch. If you’d like, you can also apply an organic fertilizer, such as compost, at this time as well. Transplanting and/or dividing is best done in the fall, as well. 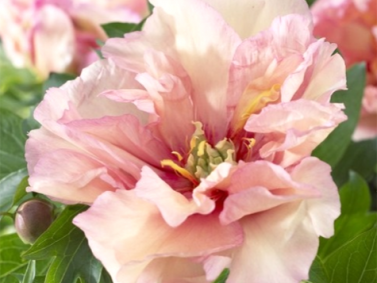 If you plan on dividing some of your established peonies, make sure each one has 3-5 eyes. 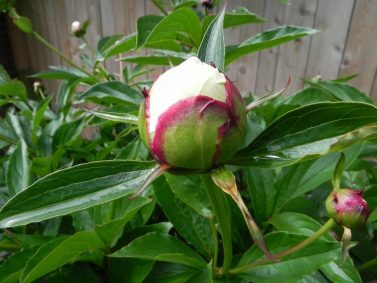 Be aware that some peonies don’t like being divided or transplanted but if they do make it, you might not have as prolific of blooming as you did before for a couple of years. Don’t have any peonies in your garden? 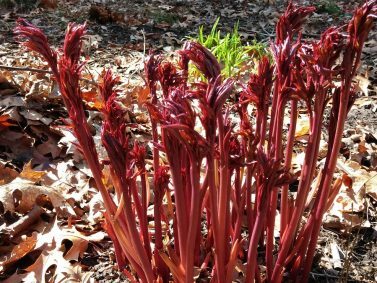 Now is the best time to plant them before the ground freezes. Make sure that the eyes face up and don’t plant them too deep or they may not flower as well. For the most part, Peonies don’t require a ton of upkeep or attention throughout the year making them great for the low maintenance gardener. As long as you cut them down in fall and keep them clean, they’ll be happy and continue blooming year after year. Organized under Buds and Blooms, Cutting Gardens, Garden Maintenance, Garden Tips & Advice, Low Maintenance Gardens, Plants I Dig. 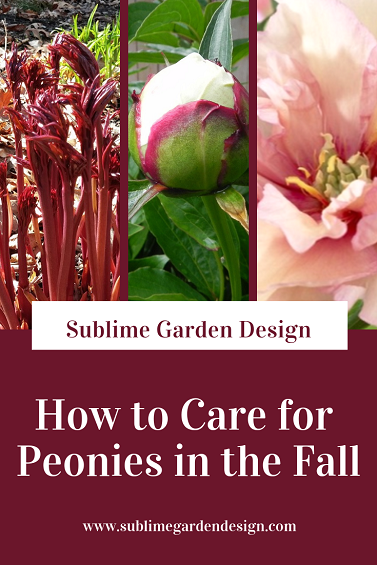 Labeled as fall peony care, herbaceous peonies, how to care for peonies, how to care for peonies in the fall, how to maintain peonies, peony care, peony care in fall, when to cut down peonies.